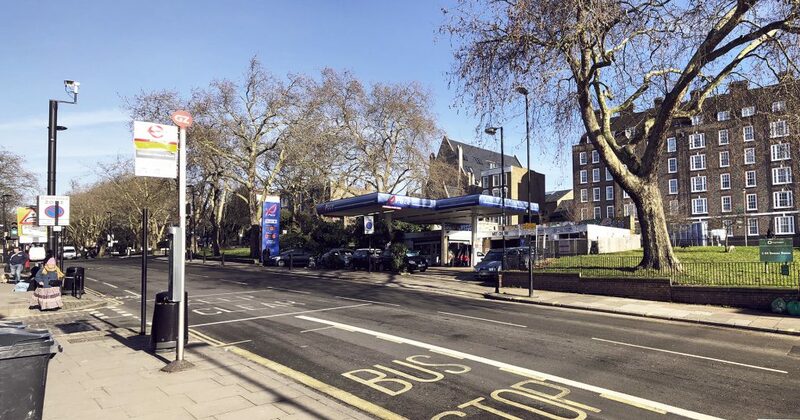 ”PLANS to demolish a petrol station and workshop in Highgate Road, Kentish Town, and replace it with six new homes have been unveiled this week. 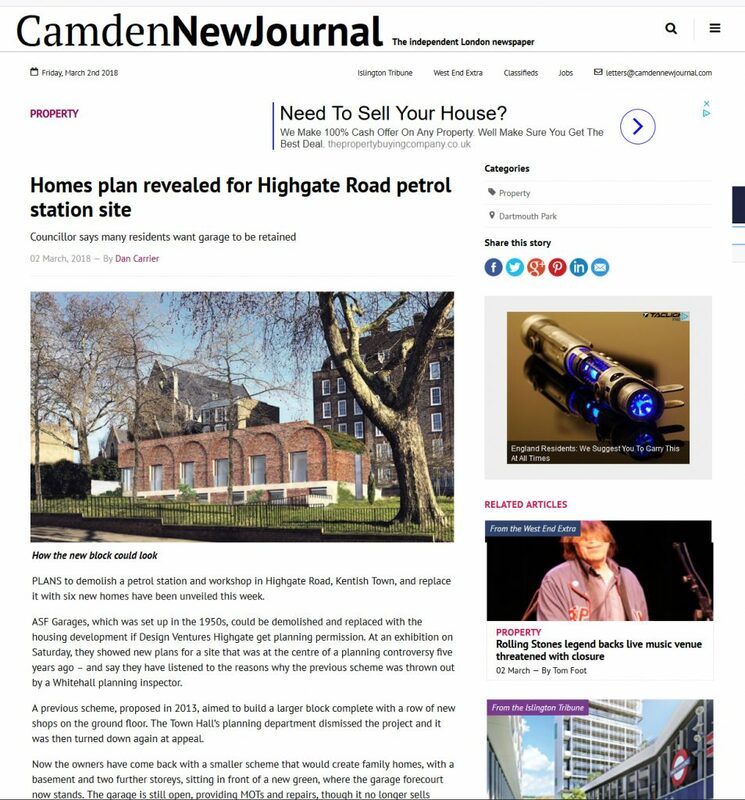 ASF Garages, which was set up in the 1950s, could be demolished and replaced with the housing development if Design Ventures Highgate get planning permission. 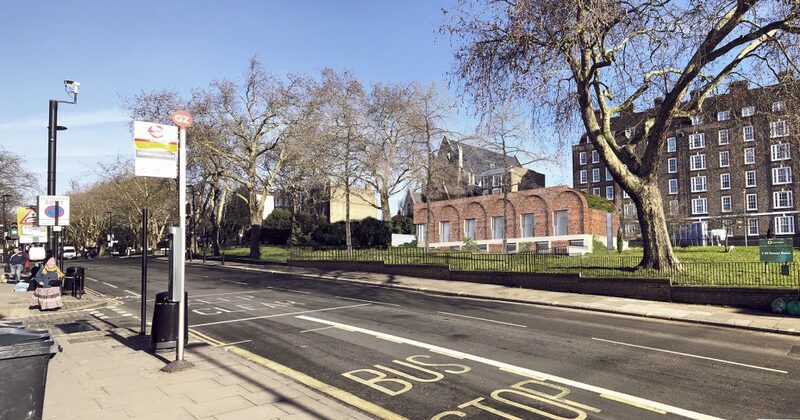 At an exhibition on Saturday, they showed new plans for a site that was at the centre of a planning controversy five years ago – and say they have listened to the reasons why the previous scheme was thrown out by a Whitehall planning inspector. 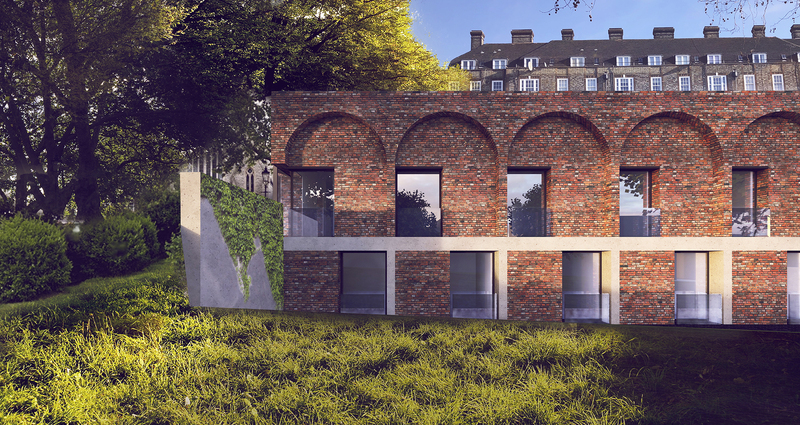 A previous scheme, proposed in 2013, aimed to build a larger block complete with a row of new shops on the ground floor. 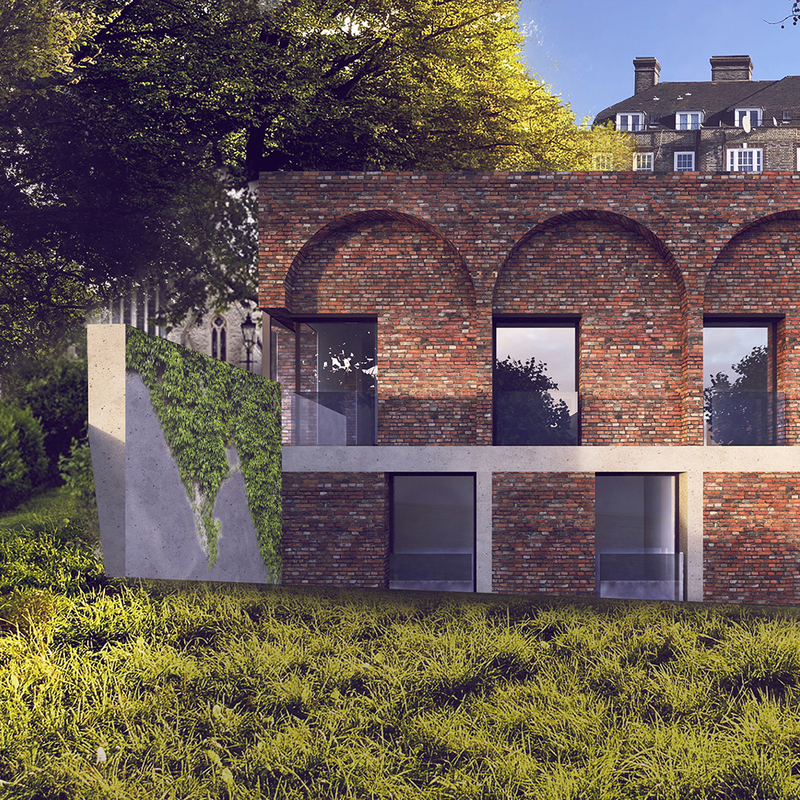 The Town Hall’s planning department dismissed the project and it was then turned down again at appeal. 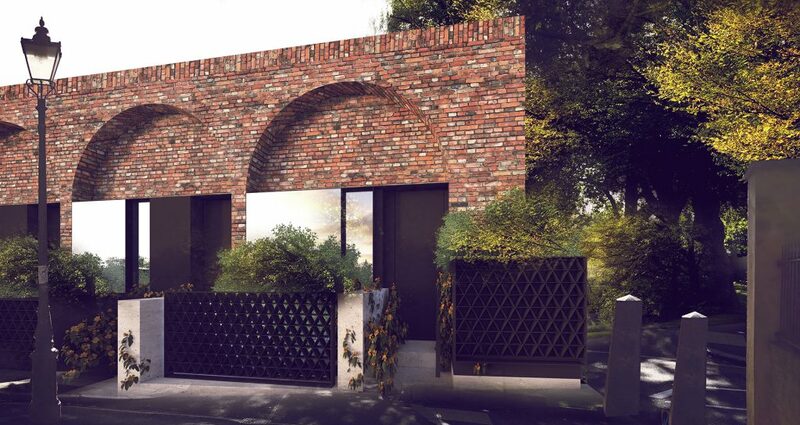 Now the owners have come back with a smaller scheme that would create family homes, with a basement and two further storeys, sitting in front of a new green, where the garage forecourt now stands. The garage is still open, providing MOTs and repairs, though it no longer sells petrol. The Dartmouth Park conservation area advisory committee was deeply unhappy with the first set of proposals and has yet to comment on the updated plans. 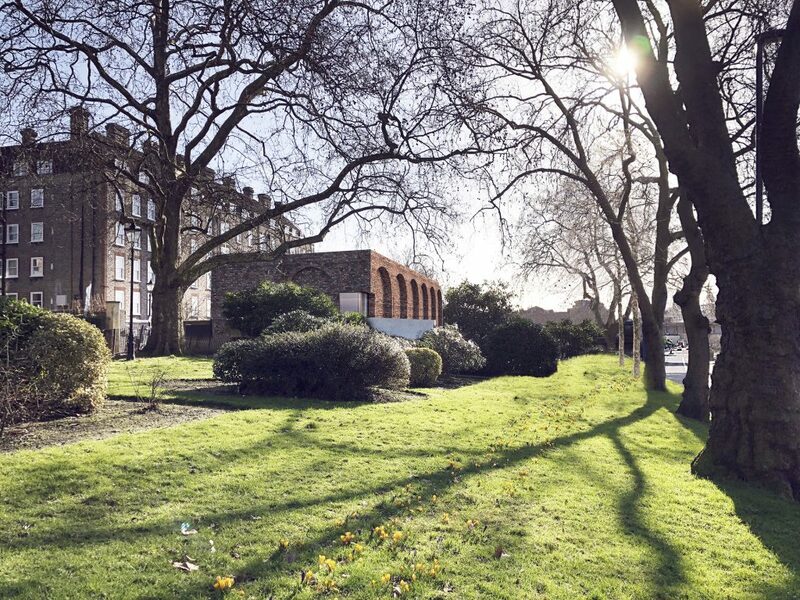 Highgate ward Labour councillor Oliver Lewis told the New Journal he believed the new designs were an improvement – but the impact on Denyer House, a council block behind the site, had to be considered when the project is officially submitted to the planning department. A spokesman for Design Ventures Highgate Ltd told the New Journal restoring a green corridor to the land was an important part of the design.